There was a time when a bill that would effectively ban every hook and lure in Maine fishermen’s tackle boxes — requiring them to be biodegradable by 2024 — could have gone unnoticed until after it passed. That’s not what’s happening, though. 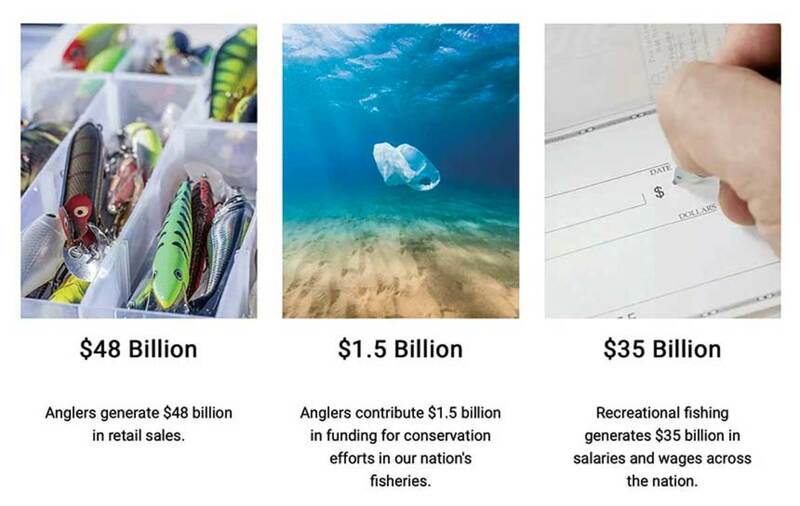 When Mike Leonard, vice president of government affairs for the American Sportfishing Association, got wind of the legislation in February, he mobilized ASA’s “Keep America Fishing” campaign to fight it all across the Pine Tree State. 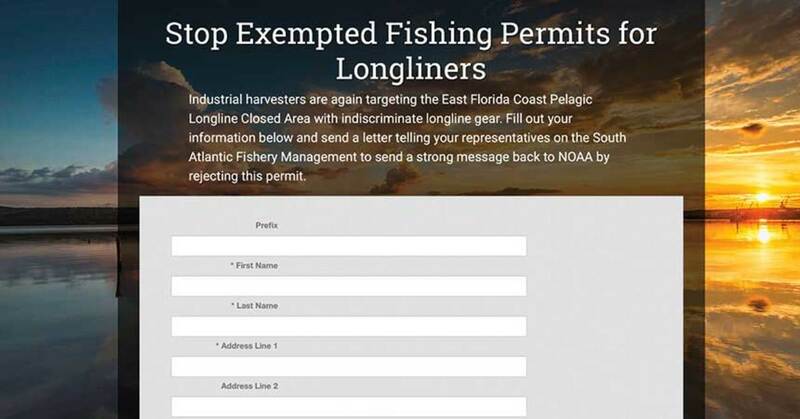 That type of grassroots advocacy is helping the marine industry reach hundreds of thousands of consumers and business owners, alerting them about legislation and helping send lawmakers a more consolidated message on national issues, too, including the Modern Fish Act. New bills constantly pop up all over the country. They’re difficult to track, let alone notify constituents about. Just 20 years ago, it would’ve sounded like science fiction to reach thousands of fishing advocates with one click. “With the click of a few buttons, we can let people in Maine know the state is trying to ban all lures, or let people in the south Atlantic know about a red snapper issue,” Leonard says. CQ, a company that provides advocacy software to help groups mobilize their supporters, lists the Theodore Roosevelt Conservation Partnership as a grassroots-marketing success story. The partnership worked with marine advocacy groups on the Modern Fish Act in a campaign called “Unlocking Sportsmen’s Access.” In 2015, that campaign generated 176,000 letters to the U.S. Congress and 99,000 likes on the partnership’s Facebook page. The Modern Fish Act, which changes the way National Oceanic and Atmospheric Administration Fisheries Councils regulate offshore saltwater recreational fishing, was passed in December after a two-year industry push. Leonard says the 16,969 emails sent to Congress through the “Keep America Fishing” campaign “played a big role in that.” A slew of videos and posts on Twitter, Facebook and Instagram, combined with emails and texts to people who asked for them, kept the issue at the forefront of anglers’ minds. Another example of a grassroots campaign is “Bass For Salt,” Yamaha’s effort to keep freshwater anglers engaged in issues that affect saltwater fishing, says Martin Peters, Yamaha senior manager of marine communications and government relations. The website generated 100,000 letters to Congress last year; in the 30 days leading up to the passage of the Modern Fish Act alone, people sent more than 10,000 letters from the site, Peters says. Congressional staffers report those numbers to lawmakers “as a means of gauging the sentiment of their constituents,” Peters says. The effort has been so successful that Yamaha is launching a new grassroots advocacy website that will have “broader positioning,” he says. Another group looking to grassroots campaigns is BoatUS, which uses “action alerts” to notify members about legislation that focuses on ethanol, water access and the Modern Fish Act, as well as local and state issues, says David Kennedy, BoatUS government affairs manager. Members can opt to send their representatives a prewritten email, but Kennedy thinks emails are more effective when boaters personalize them. “I find that I get insights I wouldn’t have normally gotten,” he says. Boating United, the effort led by the National Marine Manufacturers Association, was among those that asked members to text the word “fish” to the number 50457 to receive updates on the Modern Fish Act. That effort prompted 15,000 letters to Congress through Boating United — a big increase over 2017, says NMMA state government relations director Libby Yranski.